Oysters, oysters everywhere. And lots of stuff to drink. Well, this is exciting. | Photo via Taylor's Facebook page. In between working on its forthcoming oyster bar near Seattle Center and supplying oysters, clams, and geoduck to restaurants near and far, the folks at Taylor Shellfish have somehow also found the time to plan a new location in...wait for it...Pioneer Square. The company has just signed a lease in the Washington Shoe Building on Occidental, the same building that houses Rain Shadow Meats Squared. The Taylor space is at the end of the block, across from F.X. McRory’s. Oysters will abound on that corner. Taylor operations director Austin Docter says that the Pioneer Square location and its Irish twin in Queen Anne will be full-on oyster bars and won’t have a retail component. Taylor Melrose was meant to be a store, says Docter: “We thought we were going to do 75 percent retail and open some oysters if somebody wanted them…and maybe open a glass of wine here and there.” The oyster bar crowd now drives most of the business, though for my money, enjoying oysters against a backdrop of those bubbling water tanks is part of the charm. The Queen Anne location at 124 Republican (look for about 50 seats inside and 30 outside) will have bivalve-friendly beer, wine, and a few liquor options. The Pioneer Square oyster bar, says Docter, will occupy full-on bar territory. The menu is still in progress, but reasonable expectations include a raw bar, baked oysters, chowder, oyster stew, steamed mussel and clam dishes, and some additional items you won’t find at Queen Anne or Melrose. 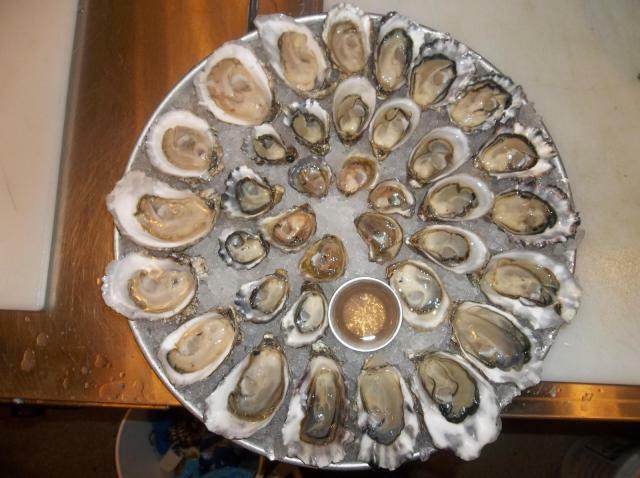 Look for the Queen Anne oyster bar in April. The Taylor crew is hoping to have Pioneer Square open by the Fourth of July. Docter says the company will be scouting for additional locations: "We'd like to get two more open in the next two years."